The renewables sector is a growing industry around the globe. This means that there’s a need for new employees to help support and drive further success. In 2017, renewable power generation increased from 2.45% to 29.4% compared to the year before. This is an indication of our growing reliance on renewable sources and technology, and the people who work with them. But what are the routes you can go down to carve a successful career in the renewables sector? Within this article, we’ll explore the renewables sector in the UK and the training courses involved with entering the industry. The World Economic Forum expects that by 2040 the global average annual net capacity for renewables will stand at 160 GW. This is compared to approximately 50 GW for gas and 20 GW for coal. If this comes to fruition, the renewables sector will be even greater than it is now, leading to a heightened demand for skilled workers. In 2017, International Renewable Energy Agency created in the region of half a million new jobs in the renewables energy sector. This brought the total of global workers in the industry to around 9.4 million. 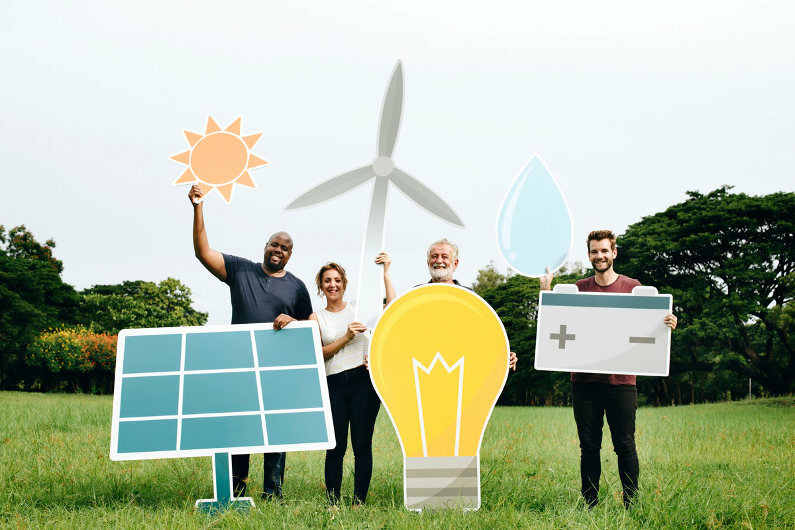 In the UK, there are around 126,000 renewables employees, according to the Renewable Energy Association, and with record growth in areas such as onshore wind power construction, it’s no surprise that this sector is a popular one for career starters. RenewableUK’s policy manager for employment, skills and training, Sophie Bennett, stated: “Wind and marine energy currently supports around 30,000 direct and indirect jobs and there is the potential to generate a further 70,000 over the next decade. It appears that the renewables sector is an attractive career choice for anyone who is looking for fulfilment, growth and variety. But what is the training landscape for the renewables industry? Essentially, there are two main avenues that you can go down to secure a job in this industry: universities — offering undergraduate and master’s degrees — and non-university institutions that offer apprenticeships and nationally-recognised qualifications. Design — tech designers and grid connection designers. Qualifications in core STEM subjects are required for most almost all positions in this sector. You can gain entry to a career via an apprenticeship route — the benefit of which is paid, practical experience — or take the higher education path by achieving a degree in a STEM subject. There are some great options that allow for a wider network of people from a variety of backgrounds to launch a rewarding career in renewables. However, is there a clearer way into the industry? Apparently so, with steps being taken to standardise the entry route for many roles. For example, in March 2018, the Global Wind Organisation developed a new Requirement for Performing Basic Technical Training (BTT) Gap Training and Merit Assessment. The aim of this new training programme is to bridge the gap between different training courses and is expected to be especially beneficial to smaller traders and independent workers. Offered by training providers — such as HTL Group, who are calibration rigs specialists — the BTT standard is designed to streamline the training process and will reportedly lower the time it takes to complete the training. It was found in the Engineer’s Salary Survey that 28.8% of workers qualified via apprenticeships in the renewables sector. In contrast, the sector has the highest proportion of employees who have qualified with a bachelors or honours degree at 58.6%. What’s more, 54.5% of those surveyed are professionally registered in the energy, nuclear, and renewables sector. This clearly highlights the sector’s high entry levels and demand for education. Obviously, the qualifications that are required depends on the type of job you are looking to pursue. Jobs within the renewables sector are broad and far-reaching, including engineers, analysts, and project managers. Whether you wish to launch a renewables vocation, already work in the industry, or are thinking about changing career, the growth of the renewables sector seems set to continue. Is the UK Becoming More Charitable? ClicksDealer Review: Can You Profit from Ads Flipping? Previous Post: Learning from the Best: What Is the Optimal Structure of a Good Presentation?